The whereabouts of Planet X remain unknown, despite significant indirect evidence of its existence. In recent years, astrophysicists have carefully examined the positions of various bodies in the solar system to ascertain whether they may have been affected by the existence of an additional sizeable planet beyond Neptune. The clustering effects of scattered disk objects beyond the Kuiper belt has led some astronomers to argue strongly for the existence of a super-Earth (or mini-Neptune) object located way beyond Neptune (1). Such a sizeable planet, dubbed "Planet Nine" should affect other objects in the outer solar system to a greater or lesser degree dependent upon its mass, and its distance over time. As part of the communal effort to locate this missing object, a collaboration between astronomy and mediaeval history seeks to determine whether it may have played a part in the long-term schedule of returning comets (1). Comets can be perturbed slightly by even long-distant tugs by planets, and these miniscule alterations will be a continuous process as the positions of the known planets adjust relative to the comet over time. Computer simulations can model these adjustments and attempt to predict the dates of return of comets which have had their orbital periods slightly adjusted by the planets over time. Perusing the historical records of comet sightings and comparing these to the modelled schedule of their perihelion appearances may turn up anomalies. Such anomalies may then be an indication of the presence of a further influencing gravitational effect, which has not been taken into account in the calculations. In other words, Planet X. 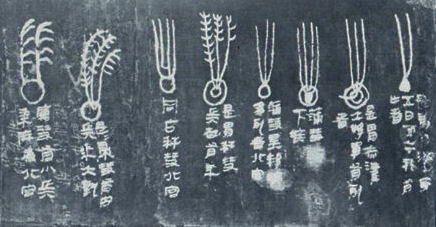 Although the Chinese recorded comets in fairly detailed ways, the dating may not be sufficiently accurate to help with the Planet Nine project (although it is thought that Halley's Comet was described in July 613 BCE in an ancient Chinese chronicle known as 'The Spring and Autumn Annals', or Chunqiu (4). Other earlier accounts, this time by Babylonian astronomers (4), may also date the comet's return back to a period over 4000 years ago. 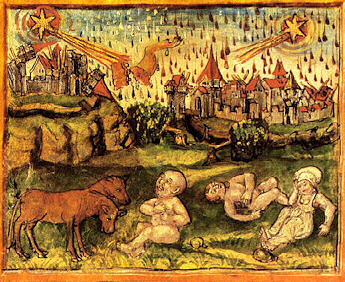 Whether they are accurate enough to be able to determine long-term anomalies in the comet's orbit is another matter, as there will be a degree of uncertainty associated with each: The Babylonian Astrolabes can prove unreliable (5), assuming, that is, that the interpretation of which object they refer to in the first place is entirely accurate in each case. A prediction made by Batygin and Brown about the location of additional extended scattered disk objects (1) has been realised (2). A new object has been added to the Planet Nine cluster of ETNOs, and this one lies perpendicular to the plane of the planets. 2015 BP519 was detected by the Dark Energy Survey, and currently lies some 55AU away, at the peripheries of the Kuiper Belt (3). It has been named 'Caju'. But its semi-major axis is some 450AU, and its inclination from the ecliptic is a staggering 54 degrees. Like the rest of the objects in the extended scattered disk, this is no ordinary Kuiper Belt Object. Its properties not only suggest that it sits well with the Planet Nine cluster, but it also elevates that cluster to a whole new level. Objects with this kind of orbital property were predicted to exist if Planet Nine lurks out there somewhere, influencing this distant minor bodies. Without taking into account the existence of an additional planet, it was impossible to calculate Caju's spectacularly complex orbit using computer simulations (2). Other perturbing mechanisms were also considered in the calculations, including the intrusion of another star, or migratory movements of the giant planets. however, the highly inclined orbit exhibited by this strange object only really started to fall into place when Planet Nine was invoked. 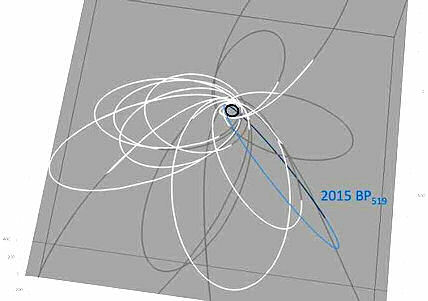 The presence of Planet Nine permits 2015 BP519 to start out with a relatively low inclination and then easily attain its current-day inclination. Things will become clearer ion the future if the Dark Energy Survey manages to add more objects to the ETNO tally, particularly if they're highly inclined to the ecliptic, like Caju. Such a grouping would add an additional layer of evidence for a Planet X object above and beyond the physical clustering of ETNOs first pointed out by Scott and Trujillo in 2014 (4). There is a class of dark, carbon-rich asteroids known as C-type asteroids. Now, one of these objects has been found out in the Kuiper belt beyond Neptune. This small KBO, known as 2004 EW95, looks different to its belt-mates. At a distance of four billion kilometres from Earth, the faint light reflected back by this 300km object was difficult to analyse in detail, even using ESO's powerful Very Large Telescope (1). But enough information could be gleaned from the spectrograph to conclude the presence of ferric oxides and phyllosilicates on the Kuiper Belt Object's surface. This is the first time such materials have been associated with KBOs, and suggests that this object originated in the asteroid belt (2). The Nice model predicts that dynamical instabilities in the early solar system would have caused some of the minor bodies in the inner solar system to be expelled, and this theory allows for the capture of exiled asteroids in Neptune's net, thus settling into the Kuiper Belt as a captured Trans-Neptunian Object. This is the first object to provide a definitive link between the solar system's two belts. Is "Bee-Zed" an Interstellar Asteroid? The discovery of 1I/'Oumuamua last year has provided an anomaly rich with speculative potential. This probable interstellar visitor wasn't a comet, but an asteroid. This shocking finding has heightened speculation about how much ejected material is floating around in interstellar space: the chances of the first observed visitor to the solar system being an asteroid which originated from within another star's ice-line seems remote, given how tightly this should have been held onto compared with more loosely-bound comets, rich with icy volatiles (1). The implication is that a substantial mass of materials is ejected from the inner zones of star systems during planet-formation. The interstellar asteroid phenomenon has also caused astronomers to reconsider what they might be looking for when they consider interstellar visitors. Rather than assuming that some comets with hyperbolic orbits might be interstellar in origin, they can start to wonder whether interstellar visitors need to look like comets at all. Perhaps the entire mix of objects in our midst needs to be considered. Stars form in clusters, in close proximity to one another in stellar nurseries. They pair up in dense cores which may go on to become binary stars, or split into singular star systems. There is plenty of opportunity for materials to be exchanged during these early times, and now, it seems, further opportunities for asteroid materials to get picked up by the Sun, too. One very peculiar object in the solar system is now the focus of this thinking. 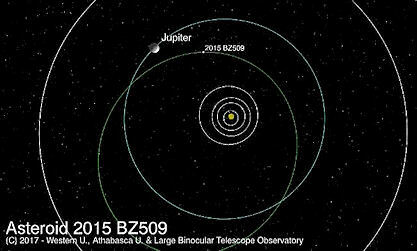 Could it be that a 3km wide object located near to Jupiter's orbit has an interstellar origin? 2015 BZ509 is in a resonant orbit with the gas giant but, unlike Jupiter's many familial Trojans, its orbit is retrograde in character (2). 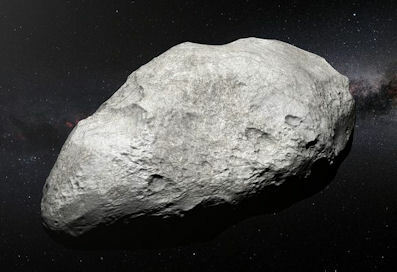 This asteroid, dubbed "Bee-Zed", is orbiting the Sun in the wrong direction (3). Such an object could not have started out this way - defying the solar system's natural protoplanetary spin. It must have arrived in Jupiter's domain by another means, and been captured into its strange co-orbital orbit, defying death by keeping a wary distance from the gas giant itself. It was initially realised that its orbit has been stable for at least a million years, and appears to be safe enough from Jupiter. Perhaps there is a chance of it having a future collision with one of the gas giant's many Trojans, as many have probably yet to be discovered. And breath again. This argument has been countered on statistical grounds, and without further study of this relatively tiny rock, no one is going to be quite sure either way (4). What arguments like this do highlight, however, is the potential for a mixing of the cosmic waters. The concept that all of the bodies in the solar system originated in the solar system is starting to look simplistic. As a result, the super-computer simulations of how the solar system formed may have to take into account the potentially rogue nature of some of these bodies. But which ones? If some of the asteroids in our midst are immigrants from other star systems, then the solar system's family represents a mixed-race within the Cosmos. Perhaps the same may be said of some of the larger objects in the solar system, too?